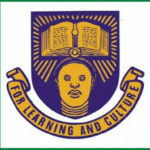 The Federal University Gusau (FUGUS) is a public, conventional, co-educational, research University located in Gusau, the capital of Zamfara State. It is among the three new Federal Universities established on the 18th February, 2013. Academic session started in 2014/15 session. The fundamental academic structure of the Federal University, Gusau is based upon the accepted guidelines of the National Universities Commission (NUC) in the Benchmark Minimum Academic Standards (BMAS) documents, as well as other standards from other relevant stakeholders. 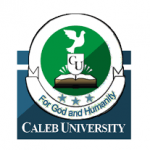 Are you in search of the list of courses offered at Federal University Gusau (FUGUS)? 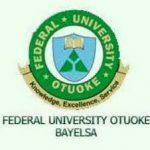 Here is the list of available undergraduate courses/programmes offered in Federal University, Oye-Ekiti (FUGUS ) that has been approved by the National Universities Commission (NUC). Candidates must possess a minimum of 5 credit passes in relevant subjects including English Language and mathematics at GCE O’Level, WASCE, SSCE, NECO or approved equivalents (not more than 2 sittings). Applicants with Teachers Grade II (TC II) with passes at credit or merit levels in relation with credit passes in relevant subjects at GCE, WASCE, SSCE, NECO or approved equivalents will be considered. 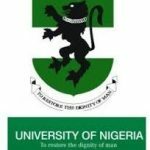 Candidates in search of admission into Federal University Gusau (FUGUS), Zamfara State for the 2018/2019 Academic Session, are hereby notified that the 15th and 16th August, 2018 has been fixed by the University as dates for the Post UTME and Direct Entry (DE) screening Tests for the admission. Only Candidates who scored 160 and above in the last UTME conducted by JAMB and picked the University as their first choice are eligible to participate in the Aptitude Test. 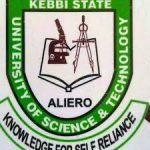 Direct Entry(DE) applicants must possess at least a Lower Credit at National Diploma from a renowned Institution or at least scored 7 points in their NCE or IJMB results and must have chosen the school as their First Choice. A page will open, if you are successful, revealing some relevant detail concerning you. Fill the remaining form to generate invoice and go to the nearest commercial bank to make payment. This invoice contains the Remita Retrieval Reference (RRR). After payment, login using your JAMB registration number and RRR to complete your registration. Upload a recent passport size photograph of at most 20KB and of .jpeg format. If you upload a photo greater than 20kb or a different format like .png or .pdf, it will not be accepted. After registration, print out the screening slip and bring it to the screening venue along with your Direct entry slip, proof of payment and original and photocopies of every credential you used while filling the online registration form.